Datsun, a brand of Nissan Motor, today launched its first Datsun car for the Indonesian market, the Datsun GO+, at its new plant in Purwakarta, West Java. The new 60,000 m2 plant, with engine assembly, body, paint, trim and chassis, will be dedicated to the production of Datsun cars for Indonesia. At the inauguration of the new plant, Nissan Motor Indonesia also announced its participation in the Low Cost Green Car has been authorized by the government. Following the requirements of the initiative, the official name of the Datsun brand will be Datsun Nusantara, with Datsun GO+ Panca as the new model’s official name. The word “Panca” is derived from global naming of Datsun GO – GO may be translated as “five” in Japanese and Panca also meaning “five” in Bahasa Indonesia. 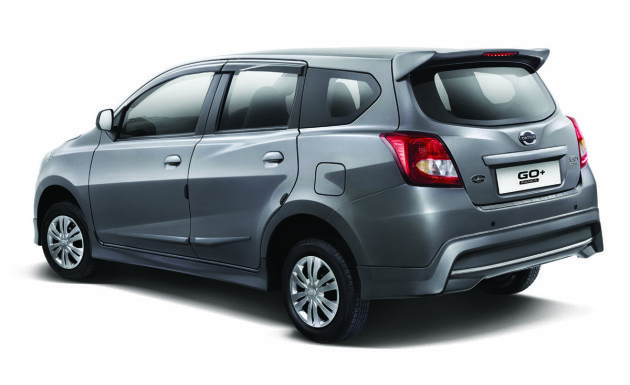 The “+” in the name Datsun GO+ is reflective of the extra space in the third row for either passengers or luggage which allows the 5+2 MPV to accommodate two extra occupants. Datsun GO+ Panca is the first of its kind in terms of price and value in the Indonesian family car market, and in the LCGC. Indonesian customers can start placing orders today for the new car, with first deliveries scheduled from June. The five-door, 5+2 MPV Datsun GO+ Panca is powered by a 1.2 liter 68-horsepower engine paired with a five-speed manual transmission. Starting at 85 million IDR on the road Jakarta, Datsun GO+ Panca will revolutionize the segment with best-in-class roominess, being the only model to offer a spacious and flexible three-row interior at this price. According to Cobee, Datsun delivers a new, modern car that is durable, accessible and comfortable and exactly what Indonesian customers – the risers – want in a family vehicle. The Datsun GO+ features a connected front seat, a speed-sensing wiper system, a Multi Information Display and follow-me-home headlights; the new model sets it apart from competitors with features only commonly seen in higher-end vehicles. A mobile docking station allows occupants to plug in their mobile devices for added convenience; an abundant selection of accessories at affordable prices will enable customers to add a personal touch to their new purchase. Prices for the three grades and its derivatives range from 85 million IDR to 103 million IDR on the roads of Jakarta and will be available in 5 colors. Datsun GO+ Panca initially goes on sale at 39 dealerships, and by the end of the fiscal year, will be available at 95 dealerships nationwide.